Get cash for your car in Alabama today! Sell your vehicle today and get immediate payment when we pick up your car. We purchase cars in every city in Alabama, sell your car in Alabama now. Fast & Easy – Only takes 3 easy steps to get cash for cars in Alabama. Price – Due to our extensive network of buyers throughout the United States, National Cash 4 Cars is able to offer you the highest price for your car in AL. Free Pick-up – Our drivers are able to come to all cities in Alabama to pick up your vehicle, and give you your money on the spot. Convenient – We serve every single city and market in Alabama. Cash for Cars in Alabama today! Stress Free – National Cash 4 Cars buys any make or model, running or not. We buy used vehicles in all types of conditions. Get top dollar in Alabama today! Expertise – Over 50 years of automotive experience, we are standing by to purchase your car in Alabama today! There are many ways in which one can sell a car, truck, van or other vehicle. Most people who have a vehicle to sell put an ad on Craigslist or put up a sign on the vehicle itself. In some cases, one will not have too much trouble finding a buyer, especially if he or she is not in a hurry to sell the vehicle and the vehicle is in good condition. However, selling a vehicle right away (if you don't have months to wait for a buyer) is much more difficult, as is selling a vehicle that is no longer roadworthy. That is, unless you utilize a cash for cars company like National Cash 4 Cars, who specializes in same day sales and pick-up. Cash for cars Alabama companies specialize in buying vehicles. All a person has to do is contact the company and provide relevant information regarding the condition of the vehicle. The company will then make a price offer and come to collect the vehicle free of charge. The payment for the vehicle is delivered at the same time the vehicle is collected and some companies, such as National Cash for Cars, will even help the seller fill out the paperwork without charging a fee. Cash for cars companies will buy a vehicle no matter what condition it is in. There is no need to pay to have a wrecked car towed to the junkyard, where the payment for the car will likely not exceed the cost of having it towed. Selling the vehicle to a cash for cars company can save you the time and expense of trying to sell a junk car on your own. Cash for cars companies are prompt. One can either call a company directly or fill out a form online. Either way, a person can expect an answer together with a price quote the very same day. If the price quote is acceptable, then the company will make an appointment to come to the house and pick up the vehicle at the seller's convenience. This appointment can be made the very same day that one offers to sell the vehicle, or the day after. 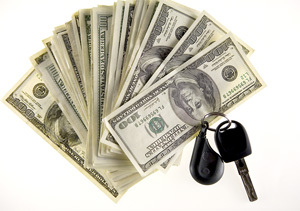 Selling a vehicle in this way will allow one to get immediate cash in hand for the car. A person who is trying to sell a junk vehicle and/or who wants to sell a vehicle right away should contact a cash for cars Alabama company such as National Cash for Cars. National Cash for Cars offers a reasonable price for all vehicles that it buys, picks up the vehicles and pays for them in a prompt manner and does not charge a fee for either the towing or the paperwork.